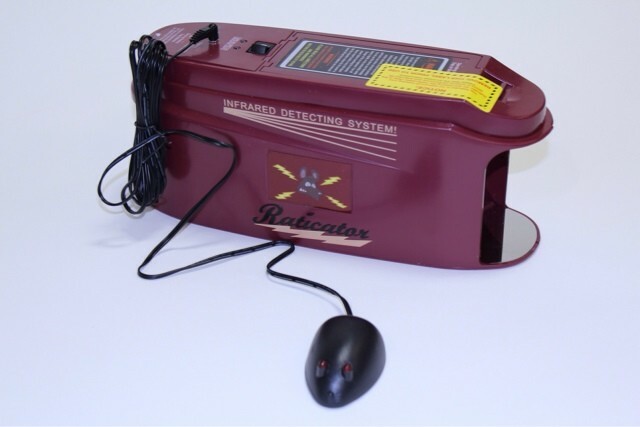 PRODUCT DESCRIPTION: This kit includes the Raticator Max and the Raticator Tale monitor. The remote monitor plugs into the top of either the Plus or Max Raticator and has a little light on it with a 12 foot cord. Use the monitor when you want to locate the main device somewhere not easily accessible. The flashing light tells you when you have a catch. 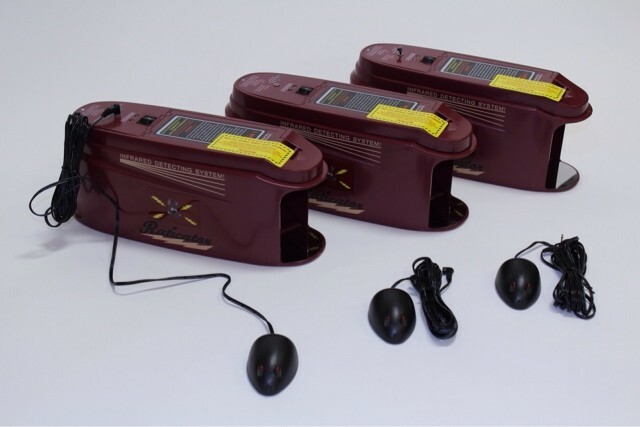 The Ultra is powered by 4 "D" cell batteries and can get over 50 kills per set of batteries. Recommended for large infestations or when the target animal is larger than a rat or mouse. This unit has a larger chamber compared to the Raticator Zapper Plus. Bait with ordinary pet food but for added attractiveness, add some of our PECAN PASTE. Just be sure to set the Pecan Paste in something that will contain it like a plastic soda bottle cap or a water bottle cap. This way the paste won't "run" if the device is deployed in a hot area. As mice and rats enter the chamber, they will quickly be dispatched with a quick but powerful jolt of electricity. WHERE TO USE IT: Attics, crawl spaces, garages, drop ceilings and any place where you have rodent activity. Can also be used outside but when doing so, make sure it's well protected from water. The TRAP TUBE is designed to help protect it and strongly suggested if you plan on using one in a wet crawl space or outside. Be sure to keep it away from where small dogs have access. The rule is any dog under 10 lbs will be vulnerable to it; old dogs could get hurt by it as well. Children and people in general are not at risk though the shock would be painful. However, be sure to keep it away from where anyone can find it accidentally or if they can, be sure to have it marked clearly that it is designed to deliver an electric shock.